On a yearly basis, the Sierra Title Companies donate money for scholarships to be distributed throughout various campuses in the University of Texas system. Sierra Title of Cameron and Willacy Counties, Inc. is a proud participant in the scholarship program for the University of Texas RGV. Funds from this company are given to a student attending UT RGV-located in Brownsville, Texas. On March 27, 2018, Neel Fulghum III, President of Sierra Title of Cameron & Willacy Counties, Inc., and his wife Lupita, attended the Donor Scholarship Luncheon to honor the recipient of this scholarship. 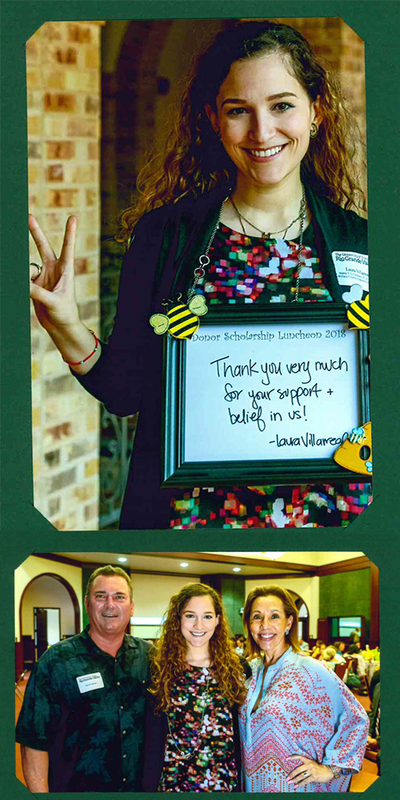 Laura Villarreal was the recipient of the Sierra Title of Cameron and Willacy Counties, Inc. scholarship.